If you know me at all, you know how much I am in love with nail polish. It started when I was 3 at my Grandmother's salon. She used to do my nails and even had her own line of polish. I have tried just about everything out there, until now. The wonderful ladies at Cote asked if I'd like to try their polishes, and I couldn't turn them down. I've been wearing nothing but Cote polishes since I got my hands on them. And y'all, I'm smitten. They are currently my favorite nail polish brand. I'm on a quest to grab all of their polishes for my own. They are THAT good. I got to try out the pastel shades, shown above, but they have 112 shades, in all sorts of finishes, not including various base and top coats and treatments. Swatched above is 1 coat. The colors are exactly as you see in the bottle. No surprises. I would suggest 2 coats, but the polish dries quickly and lasts for several days before chipping at the top. I also got to try the base/top coat, which I recommend. $18 each. I cannot recommend this brand highly enough! After a really busy week, I made it a point to take a few hours off. I saw the movie Everybody Wants Some!! and the documentary Nothing Left Unsaid and liked them both. I have another post after this one, so I hope you stop by for an announcement and an extra post from me to you! Have a great day! These colors are so pretty! I love that they are toxin-free, too! I've never heard of this brand. That is one coat? Impressive. I have to check if they deliver to Germany. Once I start painting my nails again, that is. I've never heard of this brand. The shades are so pretty and I love that they are toxin and paraben free! Oh wow, all five shades are so Spring and Summer appropriate! Can't believe the swatch is only one coat, that's really amazing! pretty colors.. i am so ready for spring! Oh wow all those colors are gorgeous, and I'm impressed with the color after just one coat! I've never heard of this brand, but I'm definitely going to check them out. The blue shade is my favorite! Wow, really pretty pastel colors. I would love to try this brand. I have never heard of this brand but the colors look very nice and opaque. Thats also great that they are toxin free. All of this colors are so vibrant and perfect for Spring! I also love that they're such high quality and last a long time too! Love the bright colors! I think I need to try these! I am always on a quest for nail polishes that will last! DANG! 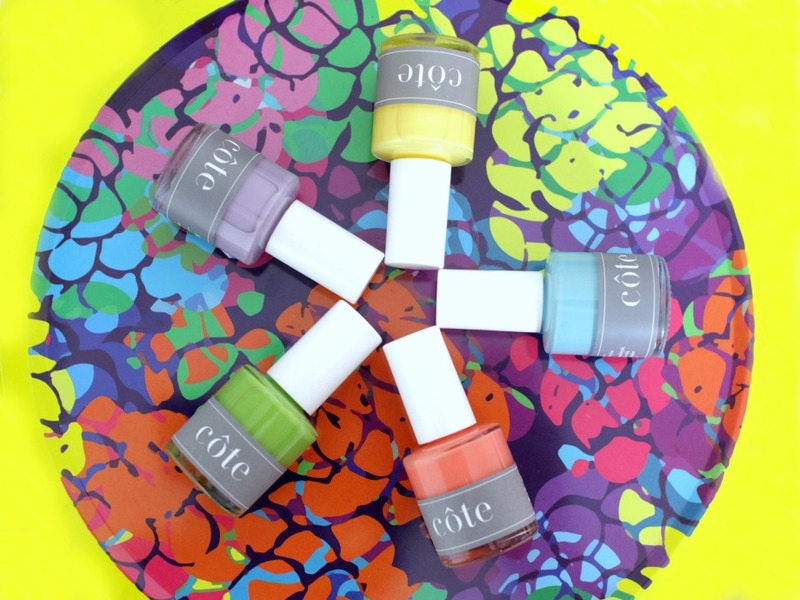 Now that's some pretty (in color) rad formula for a polish! When painting my two year old's nails, I'm veryyyy picky on which polishes I use on her. You know, playing it safe. (; These would totally fit the bill! Need to check out this website. I haven't tried this brand but I think I saw it in a magazine recently. The colors you got are gorgeous and I love the brands that are free of all the bad stuff. Those colors are so fun! I have never heard of this brand - I am usually an Essie girl, but will be on the look out for these! Wow I didn't know there was gluten free nail polish out there. I will have to let my friend know about this. Gluten free nail polish?!? What the heck! Didn't know that was a thing...! But awesome!! Love that coral color - obsessed, actually! All those colors look so pretty! I love how they are free of toxins etc, I've never heard of this brand before! These colors are so pretty!! And I love that they are all free of toxins! Yes! 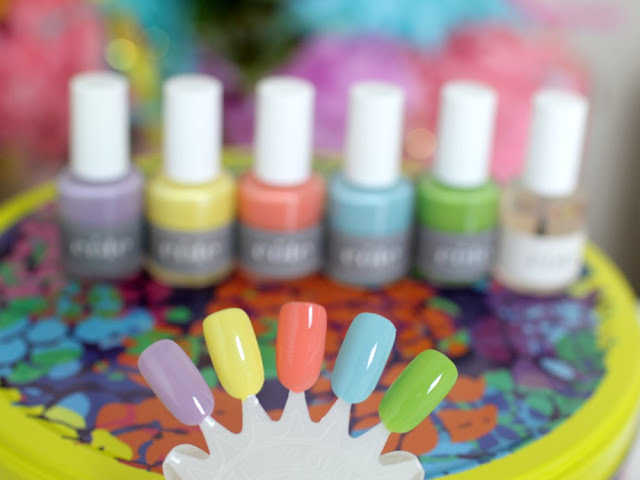 Give me all the pastel, summery nailpolish! These shades are stunning and I like how they're toxin free! This sounds like a great brand! I'm always looking for more natural, or at least not harmful, products. 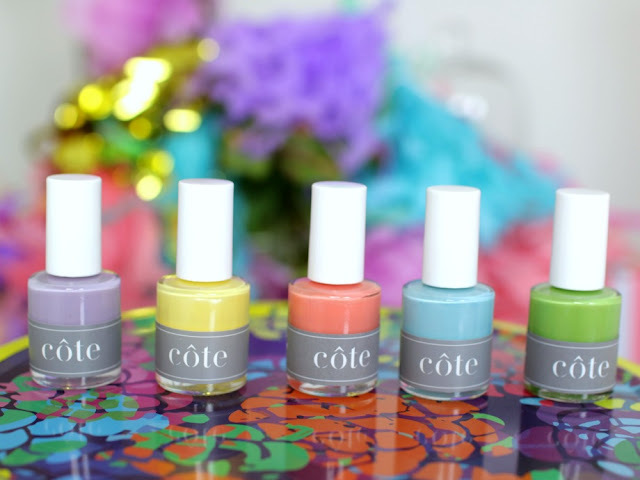 These are the perfect spring shades!